If you were to ask a number of CEOs of large public companies what they considered the most demanding aspect of their job, you might expect it to be managing the business itself, dealing with difficult customers and employees, handling capital allocation issues or cash flow. The most common response is managing the relationship with the financial markets and institutional investors. Dealing with the markets accounts for up to 25% of a CEO′s time and 35% of a CFO′s, making it the single biggest drain on a company′s most valuable resource. Despite this, few companies have a formal investor strategy and the goals they set with regard to their investors are also often not clear. By default, it is all too easy for companies to slip into the trap of seeking to maximise shareprice, which in turn holds real dangers of destroying long term shareholder value. 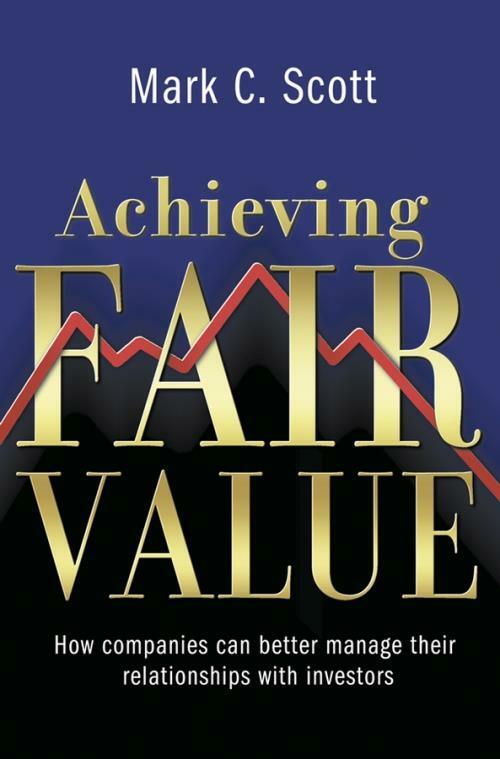 Achieving Fair Value is the first book to explore the issue of what might constitute a robust investor strategy for a large quoted company. It focuses on a range of processes and methodologies by which a company can improve the way it deals with its institutional investors, in the process reducing investor churn and managing down shareprice volatility. At the core of this approach to managing investors is the notion of fair value the pursuit of a market value which fairly reflects the fundamental, long term value creation potential of the business. "Achieving Fair Value provides clearly written, intelligent insight into the relationship between companies and the financial analysis community. By illustrating the share valuation process, and the costs of being over– or undervalued, Mark Scott′s book calls for senior management to be strategic and forward thinking. One thing is certain, the return on investment in Achieving Fair Value is outstanding!" "Mark Scott′s book contributes some much needed strategic thinking to the often ill–understood interface between quoted companies and the institutions that invest in them."